Heimia Salicifolia is a species of flowering plant in the Loosestrife family, Lythraceae. 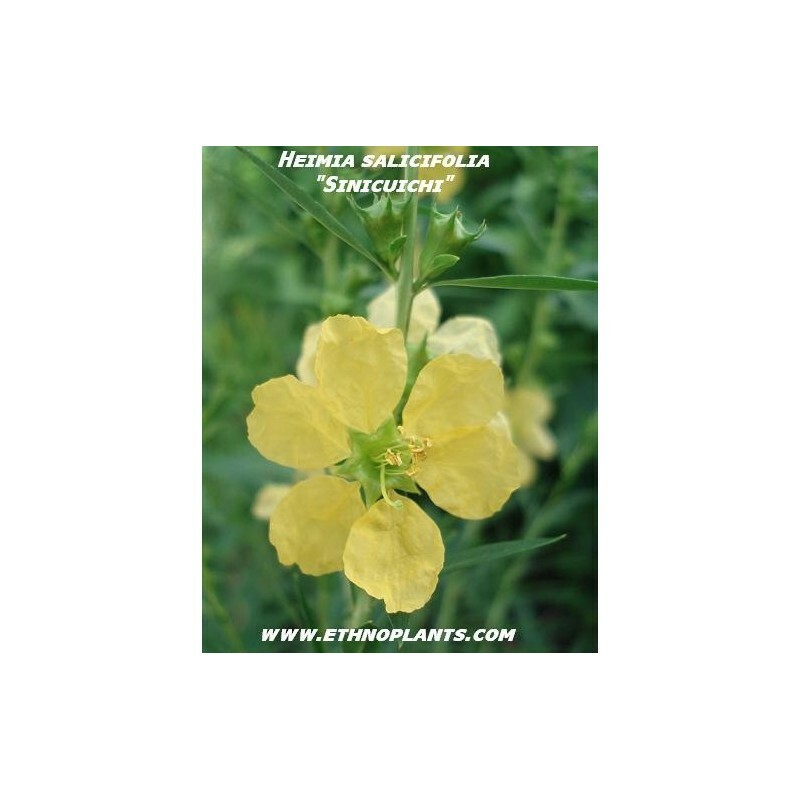 Heimia is native to the Americas, ranging from the southwestern United States, through Mexico and Central America to Argentina. 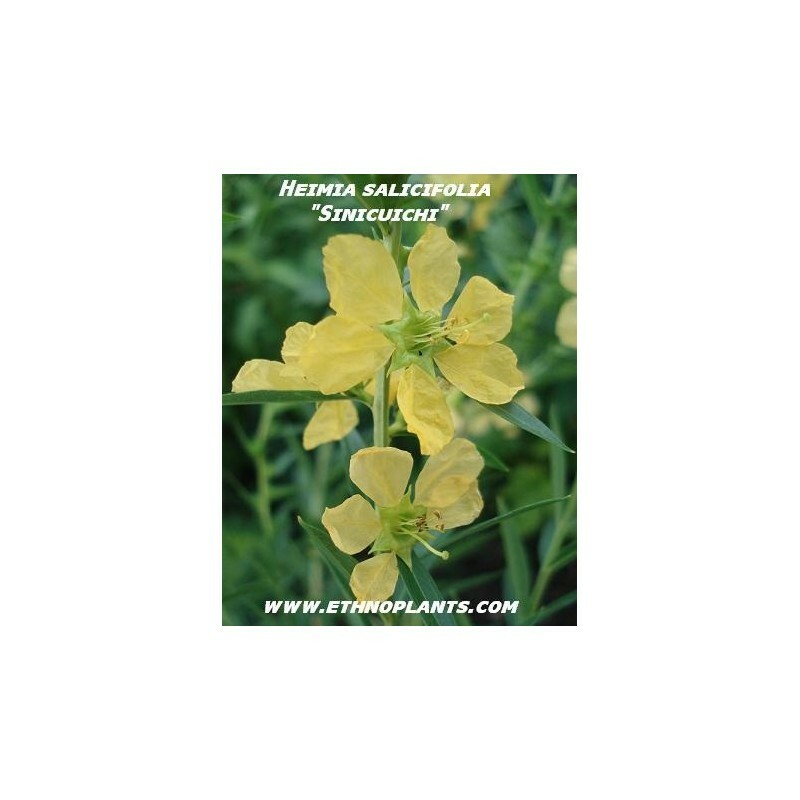 Common names include Shrubby Yellowcrest, Sinicuichi, Sun Opener, Willow-leaf Heimia, Sini, and Elixir of the Sun. Use of Sinicuichi for shamanic purposes by native peoples of Central America and Mexico has been described. The leaves are put into a cup or jar, cool water added, and placed in the sun to brew and ferment for at least 24 hours. It is said that during the fermentation process, the knowledge of the sun is embedded into the potion, creating the Elixir of the Sun. Heimia Salicifolia is not believed to be addictive. The psychoactive properties of the plant have led to its notoriety as a legal high, although the effects of Sinicuichi are relatively mild and very short lived in comparison to other entheogenic plants.